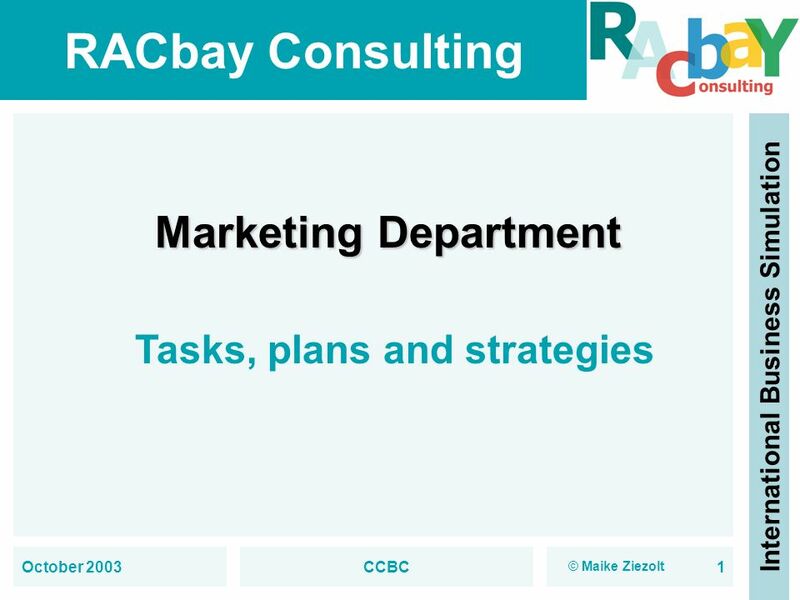 Download ppt "Marketing Department Tasks, plans and strategies October 2003 CCBC"
Exhibitors Meeting 2002 May Geneva. 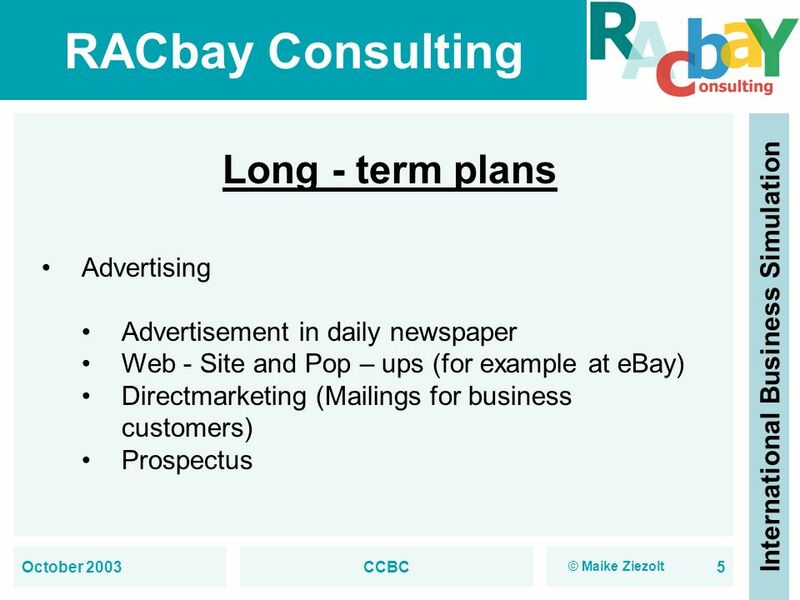 W ORLD 2003 – Marketing Strategy Direct phone / mail / campaigns to bring in customers from new sectors: Finance. MARKETING & Designing a magazine Lesson aims To make sure our magazines are designed to work well for our ‘target market’ To recall what is meant by the. Types of Websites BTT- Web Design Basics. Business A Business site can market products or services, include customer support and/or preform sales transctions. Marketing do’s and don’ts – making the most of your local newspaper. Presented by Trevor Weeding (Commercial Director) and Peter Christopher (General Manager. 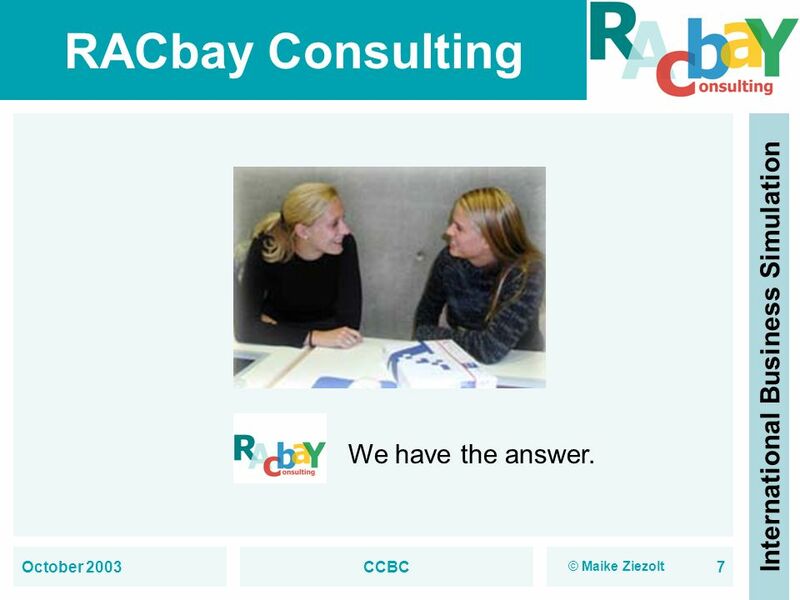 RACbay Consulting International Business Simulation October 2003CCBC1 The company 1.Why was the company founded? What are our aims? The company was founded. 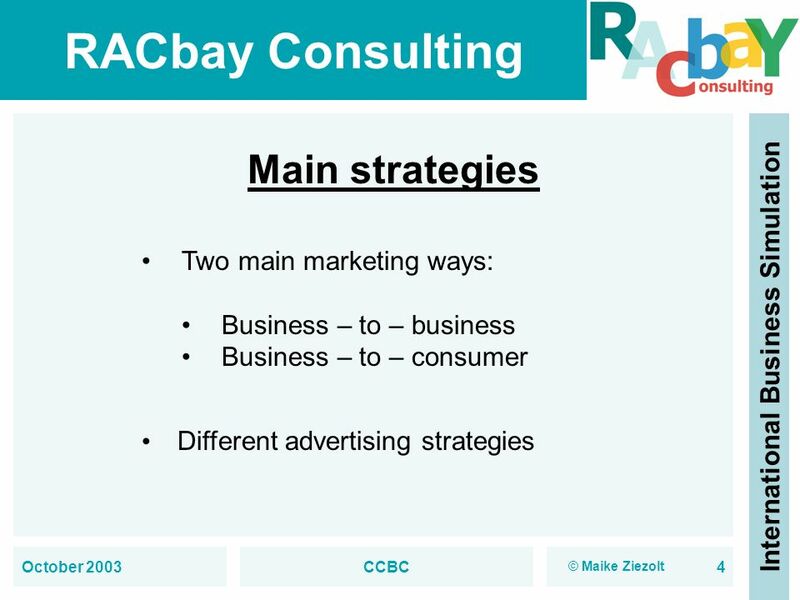 MGT 330F – Introduction to Marketing October 23, 2003 Marketing Plans. 19-1 Chapter Questions What direct channels can companies use? How should companies do direct marketing? When is a sales force useful? How do companies. 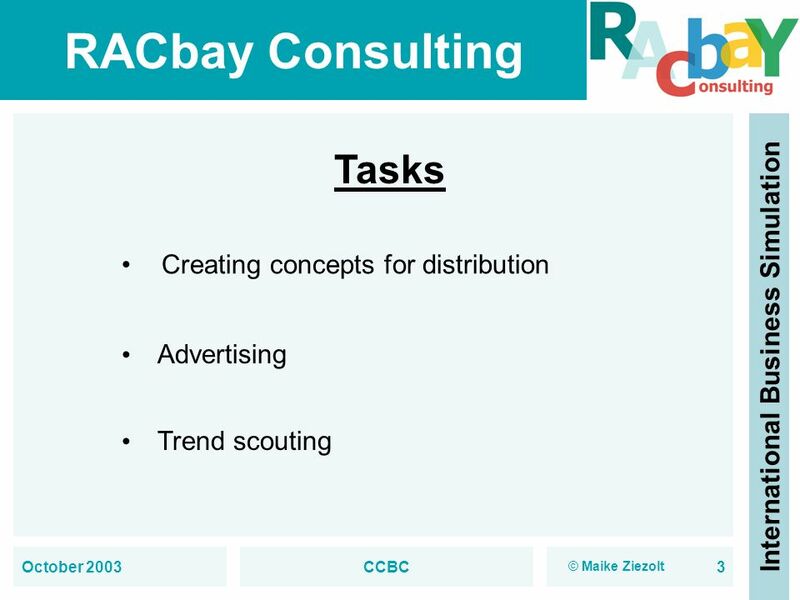 RACbay Consulting International Business Simulation 30. 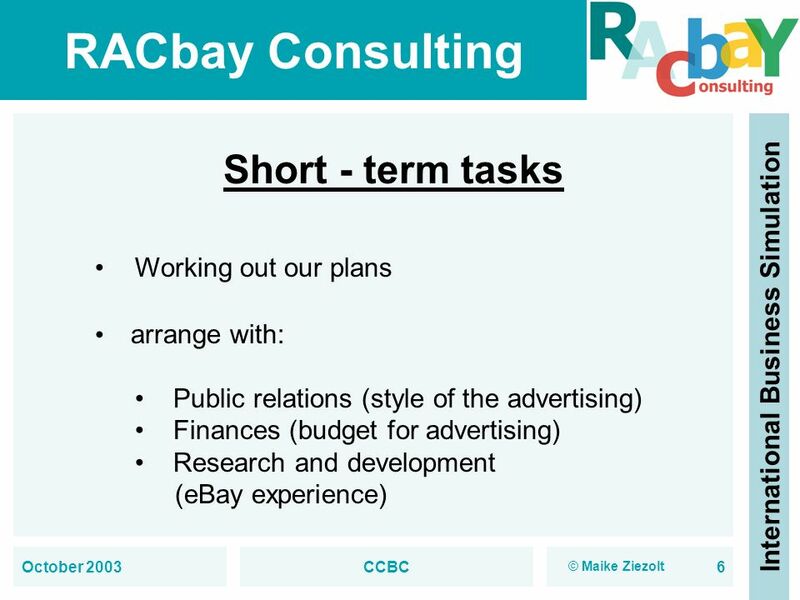 October 2003Finance Department1 Presentation Finance Department RACbay meeting 30. October 2003. Recognize the importance of marketing. What is the Marketing Mix? Ms. Roberts EWHS Marketing 2011.